The SupaScoota range is excellent if you’re looking for a scooter which can be taken in a car, train, aeroplane or on board cruise ships. 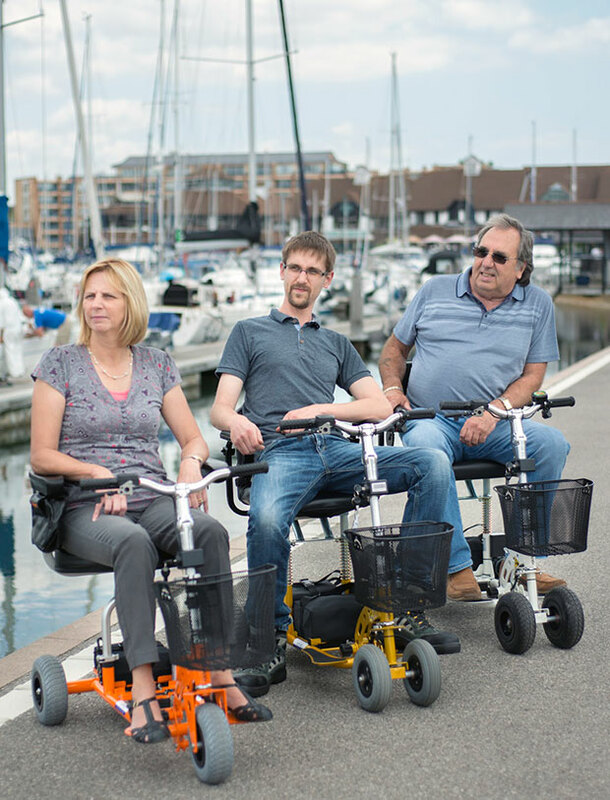 They are designed to provide you with more freedom and make regular journeys a real pleasure. All models are designed to provide you with greater control. The electronic stability function slows the scooter when turning a corner and the anti-tip wheels provide added peace of mind when driving on flat pavement, uneven terrain or on an incline. These scooters are equipped to be powered by either an SLA or lithium battery. The simplicity of the SupaScoota means that it can be folded down and ready to transport in under 10 seconds. The SupaScoota range (excp. single motor Sprite and Shopper) comes equipped with a suspension seat. This will ensure a comfortable journey, especially when driving on uneven surfaces. It also helps with stability, giving you a much more pleasant ride. With quick release mechanisms, the SupaScoota can fold down within 10 seconds allowing it to fit comfortably into most vehicles and compact enough for home storage. Ranging from 20.7kg (45.6lbs) to 34.4kg (75.8lbs) fully assembled, the SupaScoota is one of the lightest portable scooters on the market. The battery is portable, and can be removed to make charging easier. Without the battery, the weight of the scooter is significantly reduced and can be stored away with ease. The SupaScoota can reach a speed of 4mph, travel up to 14 miles and has the capacity to ascend an incline of up to 9 degrees.